I am sitting in a room on the 4th floor of Huntsman Cancer Hospital. It's late at night on Monday May 11 and Julie was admitted due to a neutropenic fever. The "drop everything and get to the hospital routine" has become somewhat normal. It no longer shocks me. I just start calling those who have been persistent at asking how they can help and turn the Mr. mom reigns over. Julie started the second half of Chemo a week ago today. She was able to come home just two days later on Wednesday. It was an effort to make it not as toxic and they were able to take that course due to her blood work which I'll talk about in a minute. As always, the first night home was pretty normal. Then the crash came after. The next day she was nauseous, and feeling crummy. Her appetite was gone, and she felt so tired. At one point late last week she texted me from our room that she felt guilty she was sleeping. She remembered feeling that the first time around. Even though logic tells her (and so do I) not to even worry about that, there is something defeating about being in your home and not being able to just get up and be a mother to your children. She spent 2-1/2 days feeling this way. I was able to go with her to her blood draw Friday. Her levels looked good and she hadn't hit her lowest point in white blood cells (nadir). Luckily over the weekend the nausea started to subside. She was able to eat more than just crackers and tear into some of the great food our neighbors have been bringing us. Several of her friends came over to be with her Friday evening and Saturday while I was at class. She felt a little bad that she was just down for the count while they were there. I assured her they don't mind. One of them brought her favorite thing from Chipotle, a quesadilla with corn salsa. She devoured it. It was the first time she was able to eat something substantial since Wednesday. She mentioned to me that this friend and her family had fasted the week prior for Julie. She found it interesting that she felt good when she was there. "I think Cassie really understands the power of healing." Julie often talks about how fortunate she is that so many are praying for her. We are convinced this has helped carry her through these trials. You really feel something. It is a subtle but noticeable feeling. That may sound like an oxymoron, but each time you are down, you find the strength to pick up and move on. When writing this blog, I have tried to put things in a light of how they really are. That said, I am naturally an optomist, and that inevitably comes out in my writing. However, I think it is important to write down some of the dark moments. The other night, after waking up to take care of Charles, I was not able to get back to sleep for a few hours. This is very unlike me. As soon as my head hits the pillow, I am typically out; even if I am woken up in the night. I found myself in and out of sleep feeling annoyed at the world around me. I was annoyed at everything, the news, pop culture, competitive nature of business, and school, Instasham...It was almost like I couldn't stop thinking about how all the things people care about in the world didn't really matter. I was irritated that so many people, including myself cared about all these things. I was overwhelmed by the sheer volume of demands on my life; with my wife, and children and keeping them healthy and happy, supporting them and giving them my love and time, educating our boys, teaching our baby to walk and talk, running the business unit I am responsible for and being the best at it, doing well in school, taking care of the annoying tax audit on my hands and on and on. Then it dawned on me; This is what depression feels like. I had never felt this way in my life and it felt so irritating. I couldn't just snap out of it like I normally would. I decided to get on my knees. I was not crying or overwhelmed emotionally, I was just spent. I asked my Heavenly Father to just take the burden from me. I knew I needed to sleep and that was stressing me out too. I fell asleep shortly after. Now I am not suggesting at all that this is all it takes to take care of depression. I believe there are many out there who deal with this on a chronic level and wrestle with feelings like this sometimes on a daily basis. Only, I now have a hint of understanding what others go through and for that I am grateful. In the days since, those feelings have gone away. Once I woke up I was recharged and knew that as soon as I started chipping away at the tasks at hand, I would be even more energized. No one ever feels like starting a large task or set of tasks, but there is something fulfilling about working at it. Earlier today she went in for a blood draw and they determined she was neutropenic. She had a slight fever and they told her that after she received some outpatient chemo that if she spiked a fever above 102 to come back up and be admitted. So here we are. Some of the better news from a few weeks ago was the results from her bronchoscopy culture. It came back with no RSV, and no pseudomonas. 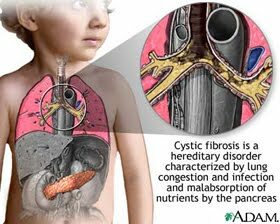 Pseudomonas is an underlying infection that she has in her sinuses due to the Cystic Fibrosis. The other piece of really good news is her blood work (which is not the end all be all) came back clear for cancer just prior to the second half of chemo. For all intents and purposes, she is responding very well to the cancer treatment. Naturally her focus is on her lungs. She is constantly asking questions about her inflammation and most recently symptoms of the lung infection coming back. We will see how the culture comes back if that is confirmed or not. Tonight she had a fever of 102 and her resting heart rate was 134. Normal for her is about 60 bpm. I spent about a week away from home for work the last week of April, first week of May. It was the first time I had traveled since late March. With good reason, I have cancelled any travel that wasn't absolutely necessary. I work for an incredible employer Fisher and Paykel Healthcare that has been with me every step of this process. I couldn't ask for a more world class, family oriented company to work for. It motivates me to be the best I can be for them. I was able to come home for a night in the middle of the week on Wednesday April 29. Julie was extremely nervous to go in and have her blood work done. She didn't want to be sitting there alone if they told her the cancer was back. She still wasn't fully recovered and they had her on antibiotics (Meropenim with Cipro) for about 2 weeks at the time. The plan was to start Chemo that Friday since we were pushing 3 weeks later than they wanted to start because of the RSV and pneumonia she had gotten after the last round of chemo. Friday I was to be at our national sales meeting. She was sick about me not being there when she started chemo again. I was hoping we could push it out till Monday so I could do both. Ultimately I would have been there either way. Julie is the most important person in my life, but keeping things together in the other aspects of my life is important. My company would not have even questioned my not being there, I just felt I needed to from a work perspective. It is a very valuable meeting each year. So there I was on Thursday morning. I had delayed my departure from 9:00 am Thursday to 3:30 pm so I could go to her clinic appt. with her oncologist. As I mentioned earlier, the anticipation of the news of her blood work was all for naught. Her LDH level was perfectly normal; 200. We were both relieved. She asked if we could wait a few days till Monday and they nervously said that would be fine. She really wanted to get off oxygen, and secondarily she wanted me to be able to be there for the admit and not have to miss the meeting. I know to the outside reader this may sound ridiculous, that I was even considering going to a work meeting, but it's part of what it takes for me to keep it all together. Continuing normal life in other aspects of my life to the best that I can, allows me to bear the unthinkable stress this could cause a person. I had an offer from my BYU MBA program to stop the program and start back up later. For me, keeping as many things "normal" as I can, keeps me from completely breaking down. It helps me be the best father and caregiver I can be for my family. I tend to really perform when everything is on the line. Truthfully, it is more evidence for me that there is a higher power. No one should be able to bear this alone, and I am not. I have sensed the prayers of others. I have had so many tender mercies in my day to day life like the one above that lift the stress and allow me to put it on the Lord. We don't get relief from everything, but we get enough relief to take a breath and say, that is awesome. Those test results brought us peace, relief, gratitude, and we said, "That is awesome!" We had the help of my mom nearly every night that week and during some of the days. She truly has been amazing. She has said multiple times that it is important the boys have some consistency. She told me before I left that she planned to be there each night, even when she worked. That constant has been a blessing to everyone in my home. We have had so many others selflessly offer and help with our boys, bring food each night, sleeping over last minute, going with Julie to an appt, and generally just lifting the burdens for us. Nothing is better than the random text from people you haven't spoken to for a very long time or from people you speak to each week. People can't take the burden away, but reaching out certainly makes it more bearable. Don't be afraid to ask how the person you know is doing. It means a lot. Be prepared to hear Debbie downer on the other end too. Anyone you know going through chemo will tell you, its a very dark path. Julie has told me on more than one occasion that it is the hardest thing she has ever gone through. I think the most difficult part is that the victories are short. You are knocked down with some complication, or more chemo every time you get up. It is a test of mental perseverance as much as physical. After that appt. on Thursday April 30, they decided to drop her prednisone dose from 40 to 20 to see if they could wean her off. She was almost off oxygen sleeping on just 1 lpm. The very next day, she tightened up. She needed 2-3 liters of oxygen. She started to wonder and worry about lung rejection because her symptoms matched it. She text me, "Low grade fever, fatigue, weight loss, feeling depressed, shortness of breath, cough, and oxygen dependence." I text her back, "You need to focus on what you know. You had a gnarly infection both bacterial and viral. You were suppressed when you got it. Trust your hope and not your apprehension." She called Transplant that day and they bumped it back up to 30mg. It seemed to do the trick. Dropping that fast from 40 was probably a little too aggressive. While on my trip, I assured Julie I would be there for her admit on Monday. Being admitted is typically an all day ordeal so I knew it would be a long one for me. Sunday night during our final dinner party, I slipped out and took a cab to the Santa Fe airport to rent a car. I had rented a car on Thursday and returned it at the request of one of my co-workers who organized the meeting. I was told I could rent right from the hotel on Sunday; not the case. It was not only inconvenient, but it was probably a little more money than if I had just kept the rental for the weekend. I was pretty irritated. Monday morning I woke up at 3:45 to make the hour long drive from Santa Fe to Albuquerque to fly out at 6:00 am. I had the thought that Julie would never forgive herself if I got in a wreck and died. She told me later that I would never forgive myself had I missed the admit and she died...touché. I made it home without a problem. Julie was running the house, back in mom mode. We were tying up loose ends right after I got home 8:00 am and were off to the hospital just before 9:00. Again, a good friend took our kids for the day. We officially started the second round that day. It was the 4th of 6 chemo inpatient stays. I spent all day and that night at Huntsman Cancer Hospital with her. Her Oncologist told us there was not as much risk for tumor lysis (tumors breaking up and putting stress on her kidneys) since her levels were so low and running the chemo in half the time would make it less toxic. Her hospital stay was very smooth and the spinal tap chemo she received was really successful. As always, the first night back is fine, then the effects kick in. She was in her room much of the day Thursday as I worked from home. She told me she was feeling guilty for sleeping again like she did the first time around. I told her to "Soak it up. We are all pulling for you and putting you in a position to do so. We want you to sleep so you can feel and recover." Ironically, my mom was at my home that Wednesday when she came home and she had a feeling to have the boys checked for strep. They had impetigo on their faces. Sure enough, the day Julie was coming home, they were diagnosed with Strep throat. Luckily we had it diagnosed early and they weren't showing many symptoms. We had no choice but to quarantine them to each of their Grandma's houses for two days. So much for pulling them out of school. For the next few days, my text vine with Julie was filled with requests from her and no answer or one word answers from me. She would ask me to get her certain medication, shhh, Fan, wash your hands, or can you fill my water please. Monday night this week we were talking about how chemo completely takes everything out of you. She was a different person the week before. She was responsive, talking with the boys, and generally recovering. She was going on walks several times a day. When she was asking me for assistance, she was so patient as I filled my other responsibilities and attended to her after at times. There are times when the stress comes to a head for me. I am very fortunate that Julie has an ability to quickly forgive. It motivates me to be a better person and bridle my passion. Yesterday after being admitted on Monday, Infectious diseases came up and told her the results of her tests from Monday. The RSV is back and they suspect the fungus had grown. This is not surprising since she had a dose of outpatient Chemo on Monday before she was readmitted for the previously mentioned fever. She called me yesterday pretty freaked out. She said "If I keep going like this, this chemo is going to kill me....I just feel like a guinea pig. They have no data on how to treat me." Infectious diseases told her she is "definitely a unique case, and we are going to get our heads together to get you better. You are really sick and I am sure you can feel it." She was apprehensive about starting the second round last Monday May 4th before completely recovering from her lung infection. She said she felt like even though she went forward with it, she felt like she had no choice. Late last night they told her she would be having a bronchoscopy today. Luckily we were able to have her pulmonologist do the procedure. Julie mentioned her apprehension in continuing on with chemo. She looked at her and said, "Are you serious? Girl I'm going to smack the sh*% out of you! That would make the first round of chemo pointless. Listen, there are too many times you have tried to die and you're not very good at it." Julie said, "So you aren't surprised this happened?" "Not really." the Dr. said. "What if they want to start me on the next portion?" said Julie. "They don't pay me to analyze, they just pay me to get data. You need to just get through this." "So you're not worried about my lungs?" she asked. "No." Having the confidence (not arrogance) of her doctor was just what she needed to hear. Julie looked good tonight. She finally hit her nadir and started receiving blood today as well as platelets. Her bronchoscopy was very clear and it looks like it is just inflammation in the small airways. There was no mucus that came up from the lavage of saline in her lungs. Our hope is that it doesn't get worse as her white blood cell count comes up. Last time, the inflammatory response was delayed until the WBC came up and this caused a lot of inflammation leading to more oxygen dependence. I'm so glad you posted. Praying for her again and again makes me anxious to hear news. Don't worry, I'll keep praying! I so relate to the guilty mom thing. It's much easier for me to tell her to just rest but I know being able to take care of her family is part of the reason she's fighting so hard. Love you Julie! Recording your honesty is so good for everyone who reads it. Your struggles are intense and they way you handle them are human. Your faith is so inspiring. Thank you for sharing. We will continue to ever keep you in our prayers. Thank you for sharing David! It helps us pray with more faith when we know the details! May God give you both strength! We love you! You're not alone in this. I'm glad you can feel all our prayers. Every day. You guys are doing amazing.